Overall, there are more people seeking employment than there are positions available. However, when it comes to professional positions that require specific skill sets and certifications, there are actually more positions open than there are qualified applicants! Now, and for at least the foreseeable future, certifications that validate your skill sets are the key to your career success. **Simply put, PMP certification is a validation of skills. It means standing out in your field with a set of qualifications that demonstrate your commitment to learning, staying current in your field and keeping up with professional advances. PMP certification is recognized globally. **When you are certified you are the kind of professional that managers and prospective employers look to with trust and confidence. This translates into a potential steep hike in salary. 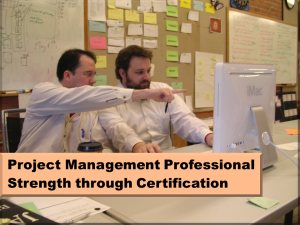 On average, PMP’s earn around 17% more than non-certified yet experienced counterparts. **Businesses today understand the need for this particular group of professionals and support for this close-knit community has never been as broad as it is today. Discussion groups and online communities share tips, share insights about the latest developments and pool their talent and experiences all in an effort to form a strong PMP alliance. **Achieving a PMP certification is not for the faint of heart. The exam falls into a mid-range of cost but because of the content can be daunting to the exam taker. This exam tests professionals on all five project management processes—initiating, planning, executing, monitoring & controlling and closing. The professional needs to be aware of all nine knowledge areas of project management, including project scope management, integration management, human resource management, time management, cost management, quality management and procurement management. When it is all said and done, PMP’s have enhanced project management skills and demonstrate top-notch project performance. If you do not have a Bachelor’s Degree, you must have a high school diploma and 7500 hours of project management experience and 35 hours of project management training. Once you are determined to be eligible, become a member of PMI, create your account and fill out the application. It is not mandatory to become a member to apply but it is to your benefit because of available study and information benefits, as well as substantial savings on exam costs. Since everything is done online (pmi.org), your eligibility letter should be sent back usually within a week to 10 days after application submission. A predefined number of applicants are selected for physical audit at random. If you are not required to go through the audit, you will receive an “Authorization to Test” approval email within 3-5 business days. Exam cost is $405.00 for members or $555.00 for non-members. Exams are purchased through Project Management Institute. Go to the Thomas Prometric website and check exam Seat Availability to see nearest test center and test dates. Chose the best date that aligns with your study timeline. You will need to score 131 out of 200. There is no break allowed during the exam so if you take a break, the clock is ticking…. Congratulations! 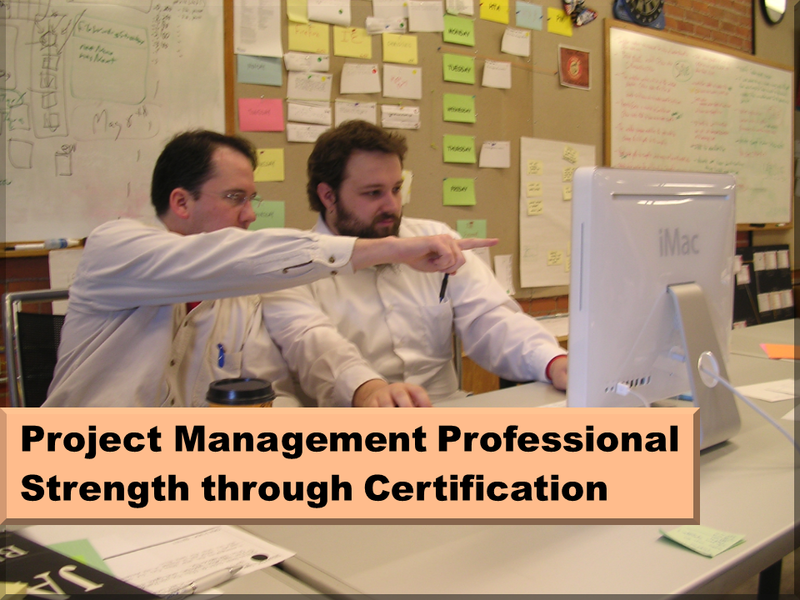 You are on your way to becoming Project Management Professional certified. Not only will it enhance your knowledge in the field but it will demonstrate your credibility in the professional world, lead to better salaries, and make you more secure and valued even during economic downturns.